We’ve written often about how Frederick County is one of the most important counties to Maryland Republicans. As a bellweather county, turnout in Frederick is necessary to ensure Republicans statewide have an opportunity to win. Two congressional districts (thanks to redistricting) wind their way through the county. Frederick County is a mesh of rural and urban, of Baltimore and Washington, and is a place where Republicans are often in the majority. That’s what makes the last four years so maddening. Four years ago, Frederick County elected its first County Executive. Due to laziness and a serious of personal foibles, Blaine Young squandered what looked like a sure thing, which handed the election to Democrat Jan Gardner. While one might have imagined that such a loss would have galvanized Frederick County Republicans, it didn’t. 2015 started with drama over a vacancy caused by the appointment of Delegate Kelly Schulz as Secretary of Labor. When presented with an opportunity to unify the Frederick GOP, some decided that was not for them. 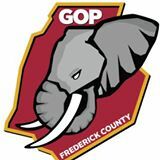 As far as party affairs go, the Frederick GOP was in good shape with strong party leadership from then-Central Committee Chairman JoeyLynn Hough. But a successful year and a successful Lincoln Dinner wasn’t good enough for some Central Committee members, who jettisoned Hough for County Councilman Billy Shreve. Shreve spent his time dividing the party, canceling Lincoln Dinners, and generally being a drama queen. Things haven’t gotten any better since then.